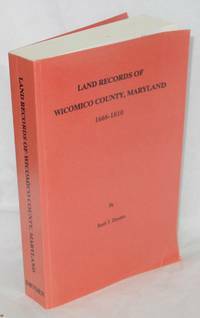 Baltimore: Self-published by the author at Turning Point Pub, 1995. Hardcover. 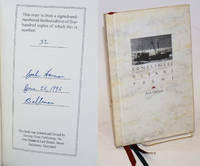 59p., three satin ribbon bookmarks sewn in, fine limited first edition #32/500 signed and dated by the poet hardcover in white decorative boards with photo of ship on cover. The poet was manager of the Lambda Rising Bookstore in Baltimore and a close friend of ACT UP AIDS activist John Stuban whom he eulogizes in a long poem and dedicates the book to his late friend. 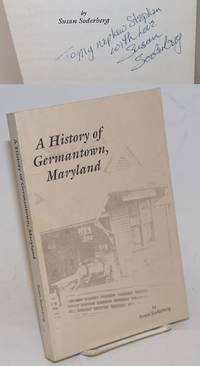 Germantown MD: Self-published by the author, 1988. Paperback. 257p., numerous period photos reproduced badly, professionally-produced very legible text, softbound in 9x6 inch decorated wraps. New York: Pegasus Books, 2011. Hardcover. Unpaginated preliminaries, 493p., period illustrations reproduced on inserted coated stock, a first edition hardbound in dust jacket. 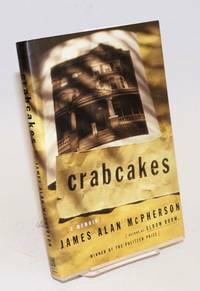 Jacket has a small closed tear at rear flap-fold, else completely sound and quite clean; signed by author Webber over his printed titlepage credit and dated June 2014. Baltimore: Self-published by the author at Turning Point Pub, 1995. Hardcover. 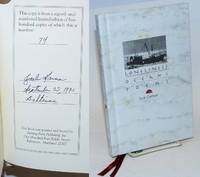 59p., three satin ribbon bookmarks sewn in, fine limited first edition #74/500 signed and dated by the poet hardcover in white decorative boards with photo of ship on cover, clear mylar jacket. The poet was manager of the Lambda Rising Bookstore in Baltimore and a close friend of ACT UP AIDS activist John Stuban whom he eulogizes in a long poem and dedicates the book to his late friend. New York: Simon and Schuster, 1998. Hardcover. 281p., very good first edition in boards and unclipped dj. This memoir, from his Baltimore youth to his participation in the Iowa Writers Workshop, constitutes the return to published writing by the African American author of Elbow Room. College Park, MD: the zine, 2004. 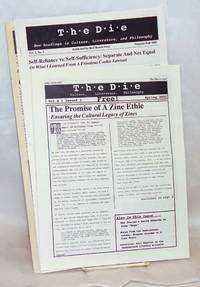 Four issues of the zine, varying format, 8.5x11 to 8.5x14 inches, issues present are vol. 1 no. 3, vol. 2 nos. 2 and 3, and vol. 3 no. 1. Baltimore: n. pub, [197-?]. 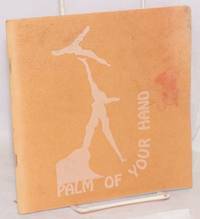 [48p] 7x7 inches, poetry and illustrations, one 2,000 copies, badly worn booklet in stapled orange pictorial wraps: dampstained, discolored, a touch of either dust or mildew, general rippling of textblock and several large dog ears. Poetry, prose and art issued to support artistic efforts by Baltimore's lesbian community. Chicago: University of Chicago Press, 2001. Hardcover. 253p., very good condition in like dj. Free all political prisoners! Free Greg Dunkel! [Washington DC]: YAWF, 1972. Four-panel brochure, 8.5x11 inches, very good. 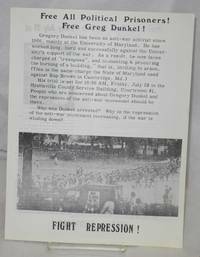 On the case of a YAWF member facing trial for trespassing on the University of Maryland campus for anti-war organizing. Columbia, MD: C. H. Fairfax Company, 1980. Paperback. 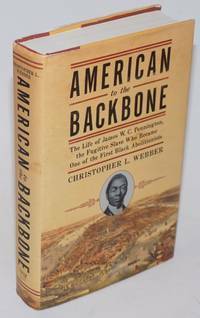 [184p] inscribed and signed by the African American educator, first edition trade paperback original in white die-cut wraps. One corner has a long crease-line, the die-cut heart is slightly torn, and edges have picked up a little soil. Good-only copy. 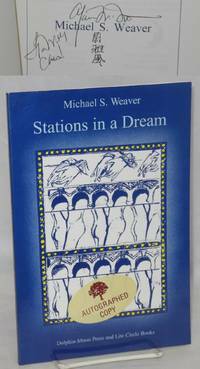 Poetry and other writings by the Birmingham, Alabama-born African American educator. Westminster, MD: Family Line, 1992. Paperback. [iii] 486p., map, notes and sources, index, very good reprint trade paperback in plain red printed wraps. Bethesda: [Brint Dillingham for Sheriff campaign], 1970. 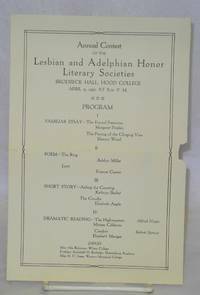 8.5x11 inch handbill, very good, if slightly smudgy. Dillingham's campaign promised to turn the county into America's "first Liberated Zone," shutting down the draft board, freeing all political prisoners, disarming law enforcement officials, etc. 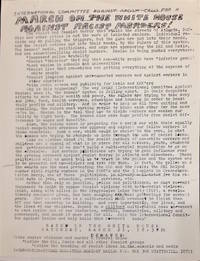 [Baltimor, MD]: Words, Incorporated, 1991. Paperback. 119p. Unknown printing. 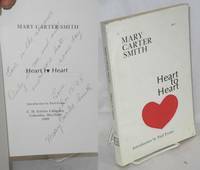 inscribed, signed and dated 7/22/95 by the author opn the title page/ vrey good. Slight wear to corners of wraps. "Romantics Poems for Black Women. [Montgomery County, Maryland]: [the campaign], 1970. 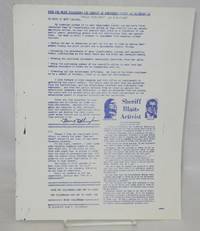 8.5x11 inch handbill, dittoed or mimeographed in blue ink, very good, if slightly smudgy. Dillingham had recently had his obscenity conviction from an underground newspaper case overturned. His campaign promised to turn the county into America's "first Liberated Zone," shutting down the draft board, freeing all political prisoners, disarming law enforcement officials, etc. Lower right corner reproduces a Washington Post report about his criticism of a shooting by the sitting sheriff's department. Hyattsville, MD: INCAR, 1981. 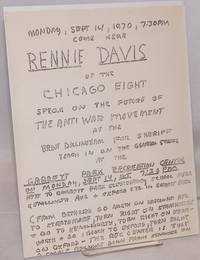 8.5x11 inch mimeographed handbill, very good. "The racist and fascist terror that stalks the streets of Atlanta, Buffalo and other cities is not the work of isolated maniacs. Individual racists may be pulling the triggers, but the guns are put into their hands, and the racist motives put into their heads, by the rulers of this system..." INCAR was a front group of the the Progressive Labor Party. Baltimore: Dolphin-Moon Press and Lite Circle Books, 1993. Paperback. 65p., wraps, very good condition. This copy signed by the author on the title page. Baltimore, Maryland-born African American poet. Baltimore: Gaypaper, 1990. Newspaper. Seven issue broken run of the B-section of the Baltimore LGBT folded tabloid, primarily the entertainment section of the newspaper with events, ads, reviews, photos and classified ads, very good. Includes sections from the February, March, April and May issues. Cover stories on Black gays and lesbians. Frederick MD: Hood College, 1921. Single 6x9 inch leaflet/program, lists the events and participants, fold crease and small chip from right margin otherwise good. 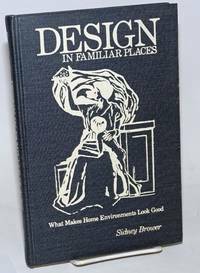 Includes participation of Margaret Shipley, Eleanor Wood, Adelyn Miller, Frances Carson et al. 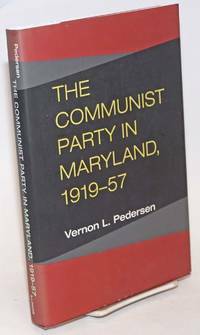 [Baltimore]: Self-published by the author, 1983. Paperback. 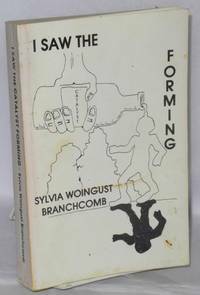 431p., introduction, prose, poetry, photos, illustrations, some underlining on page 51 otherwise a very good first edition trade paperback in white pictorial wraps with light soiling. African American poet studying in Baltimore. Two holdings located in OCLC as of 8/2016.